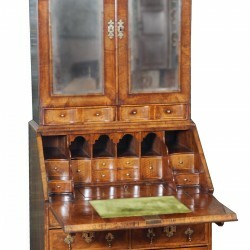 A rare William & Mary period walnut bureau cabinet circa 1695. 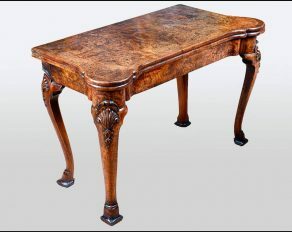 This fine quality piece of small proportions and condition retains a rich colour and patina. Similar in design to. work by Hugh Grainger, Aldermanbury, London, one of the most eminent cabinet-makers of the period. 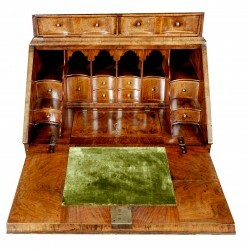 Ref: Percival Griffith Collection, V & A archives and Dictionary of English Furniture.